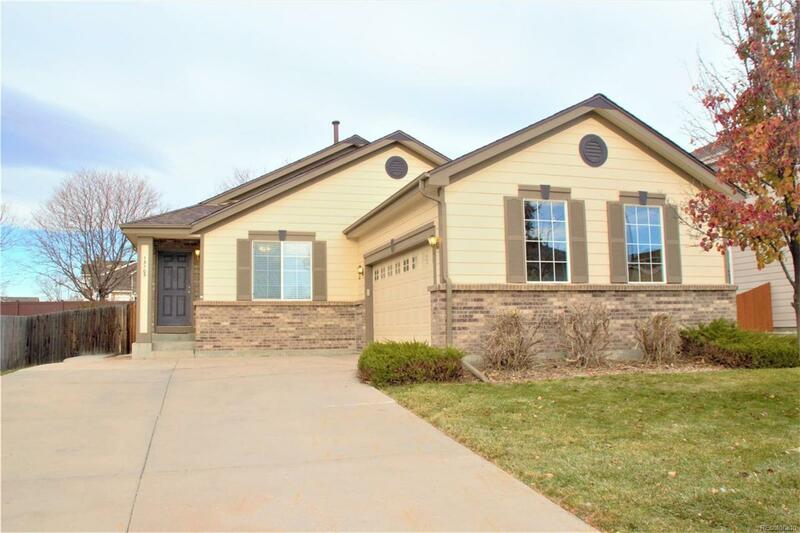 Remarkable Ranch Style With Vaulted Ceilings A Great Room with Gas Fireplace! CLEAN & Sparkles of Wonderful Natural Day Light. Nice Big Kitchen With New Stove & Dishwasher/Cabinets with Slide Outs & Island with Breakfast Bar. Perfect for Entertaining A Crowd & PLUS Sized Eating Space Great for Family Gatherings! A Sunny Sliding Door Opens To A Fabulous Concrete Patio! The Private Master Suite Offers A Soaking Tub/Shower & Double Sinks AND BIG Walk-In Closet! ADDITIONAL 2 Bedrooms with Full Bath Near. Conveniently Located Laundry Room Just Off The Garage That Offers a Service Door to the Big Back Yard! PLUS A Basement with Big Windows Just Waiting to Be Finished To Your Style of Living! NEW Roof Too!! A GREAT HOME This is Your chance to Live in A Charming Neighborhood with short walk to Future Thornton Trail Winds Rec Center opening in 2019!! Close to Shopping & DIA! All this at An Affordable Value! Offered by Colorado Peak To Peak Re Llc.